Coming to Comic Con? Well, due to unusual circumstances, we are now spread across two booths! 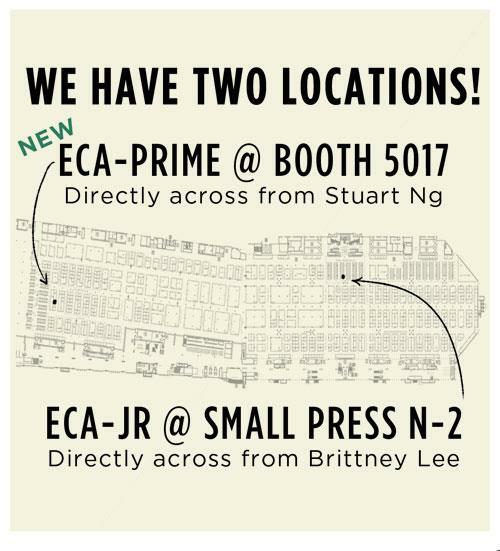 Find us at both booth 5017 and Small Press N-02! See you there! 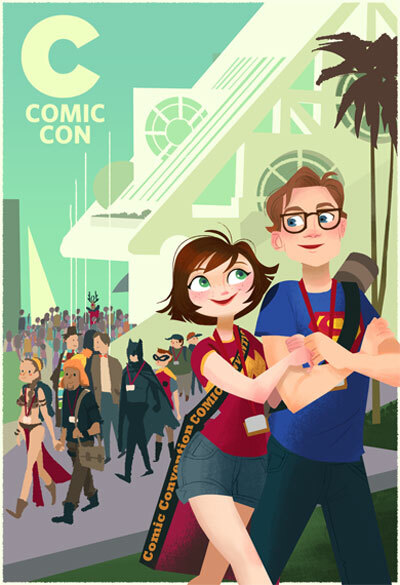 Comic Con is literally right around the corner and Mike and I have created a few things especially for comic con! 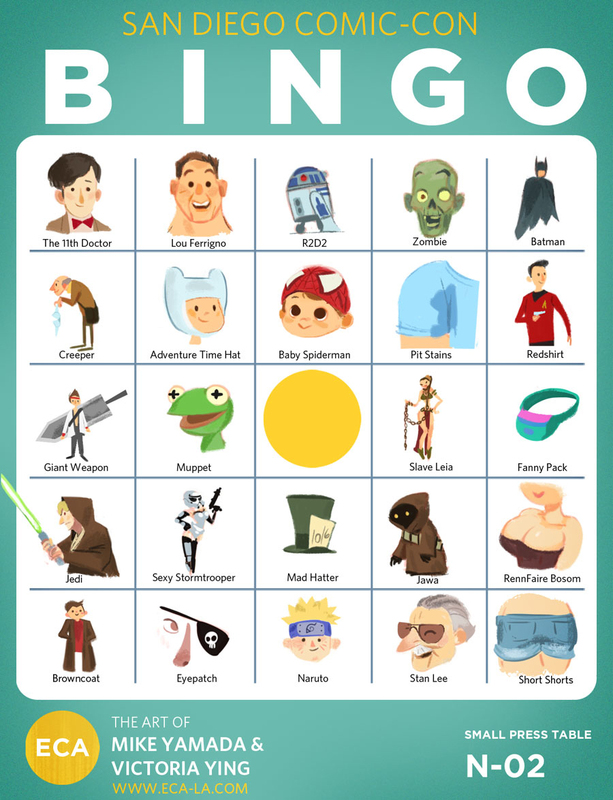 We have a new City Poster that will be 13x19 and a printable bingo for you to play along while at the con! 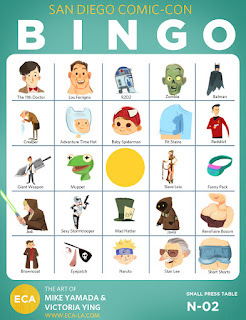 Make it fun and get a group of friends together and come up with a prize! 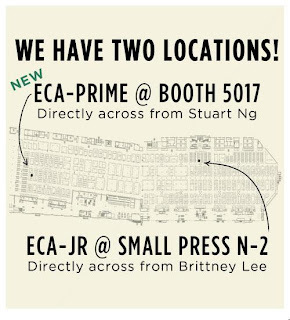 We'll be at the small press area booth N-02! After talking to some people, I expect to have a bit of free time while at comic con next week! 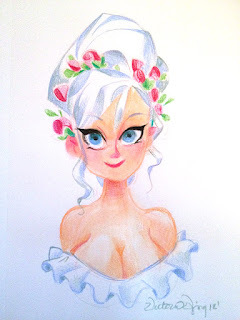 I'll be taking 5 commissions to be done at my table at SDCC! They will be 100/piece 5.5x8.5, full color colored pencil . Here is an example of one below. Email me if you would like to pre order a commission! 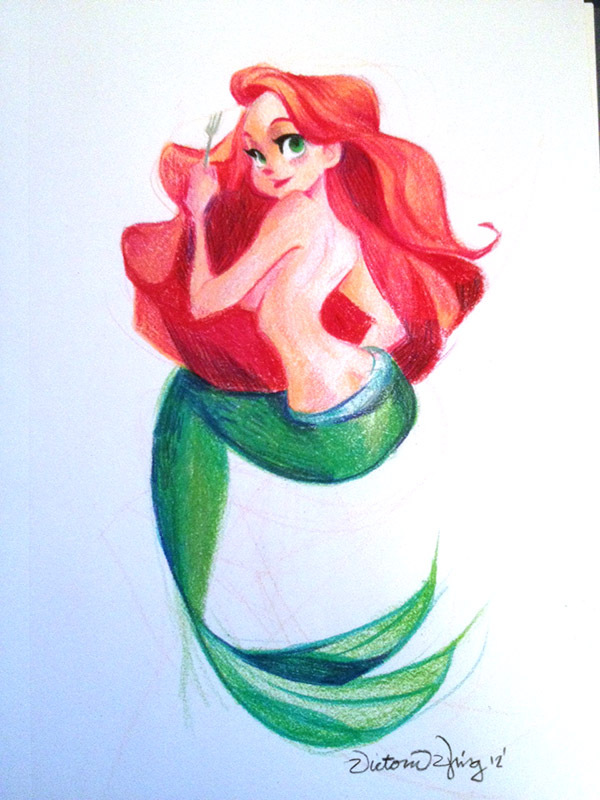 If I finish early I'll open up more spots, stop by and say hello! Find me at Small Press N-02!